Updated 5/21/18 9 a.m. – The Barbara Bush public visitation also was live-steamed. 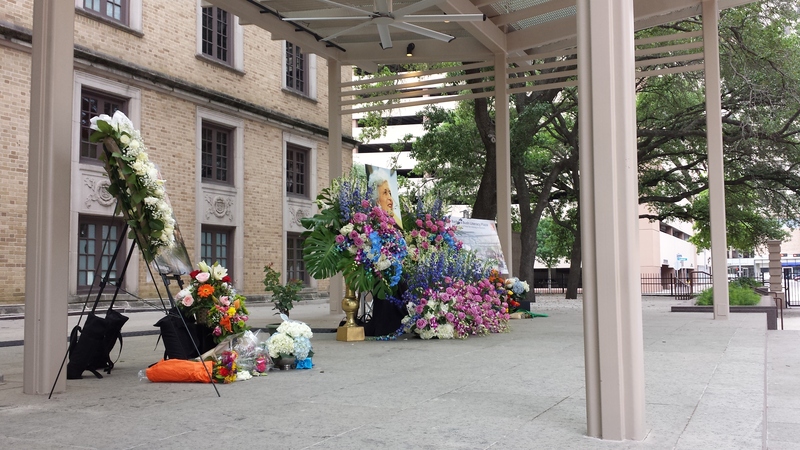 Thousands had visited Mrs. Bush lying in repose from noon to midnight on Friday. There are just a few hours left tonight for the public to see former First Lady Barbara Bush at St. Martin’s Episcopal Church in Houston The public visitation ends at midnight Friday. For those who made the time today to bid farewell to Houston’s First Lady, the Bush family planned a first class, flawless event for Mrs. Bush and visitors. After Saturday’s funeral service for invited guests at St. Martin’s Church, there will be a procession to College Station. Barbara Bush will be laid to rest next to her daughter, Robin, on the grounds of the George Bush Presidential Library at Texas A & M University. Houston’s Public Library and the City of Houston also set up the Barbara Bush Literacy Plaza at the downtown library at 500 McKinney Street next to City Hall. The public can leave cards, flowers, plants, balloons and tributes in loving memory of Barbara Bush there through April 30th. Mrs. Bush was an advocate for family literacy. 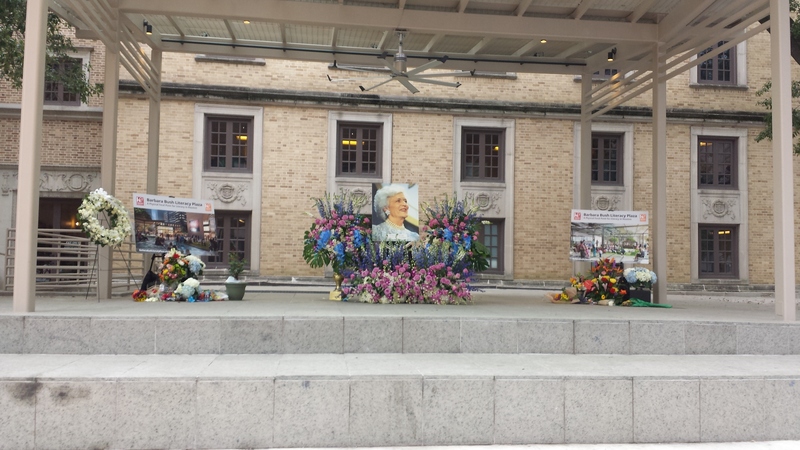 This entry was posted in Asian Community Houston, Asian Community News, Harris County News, Houston News, National News and tagged Barbara Bush Public Visitation, Barbara Bush Public Visitation in Houston. Bookmark the permalink.